The DfE have recently reinforced the need “to create and enforce a clear and rigorous expectation on all schools to promote the fundamental British values of democracy, the rule of law, individual liberty and mutual respect and tolerance of those with different faiths and beliefs.” The guidance can be read in full by clicking here. Each year the children decide upon their class charter and the rights and responsibilities associated with these. All the children contribute to the drawing up of the charter. Children have many opportunities for their voices to be heard. 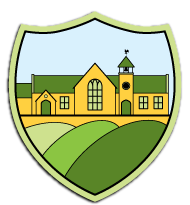 We have a school council which meets to discuss issues raised by the children themselves. Two council members for each year group are voted in by their class. As a Rights Respecting School, mutual respect is at the heart of our values. Children learn that their behaviours have an effect on their own rights and those of others. All members of the school community treat each other with respect. This is documented in the Home School Agreement. The Meadows is situated in an area which is not greatly culturally diverse; therefore we place a great emphasis on promoting diversity with the children. Assemblies are regularly planned to address this issue either directly or through the inclusion of stories and celebrations from a variety of faiths and cultures. Our RE and explicit Diversity PSHE teaching, reinforces this. Members of different faiths or religions are encouraged to share their knowledge to enhance learning within classes and the school. At The Meadows we will actively challenge pupils, staff, governors or parents expressing opinions contrary to fundamental British Values, including ‘extremist’ views. To download a copy of our Cultural Day presentation, click this link.